Trust London Coach Hire Company to streamline transport at all of your wedding events. 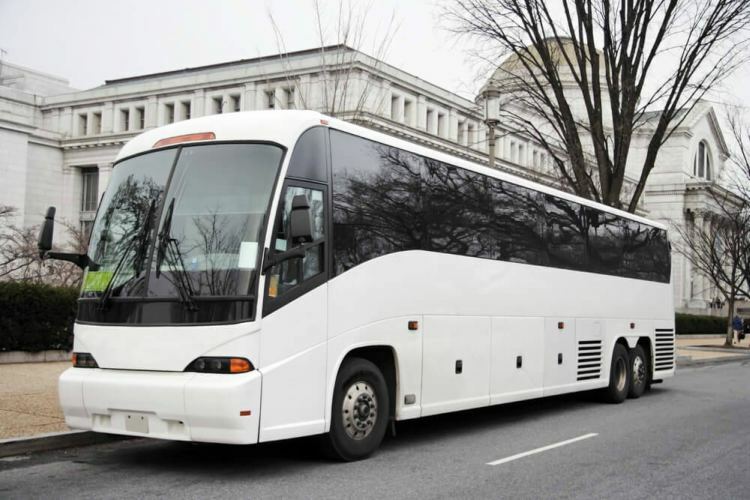 Whether you’re in need of a minibus for a day-of shuttle service or a full-sized coach for long-distance group transportation, we’ll make sure you’re paired with the perfect vehicle. Call our representatives at +44 (0)20 3617 1668 to learn more about how we can help with your big day! Don’t let your guests get lost between venues on the day of your wedding. Between the hotel, the ceremony, and the reception space, things can get confusing when guests have to navigate from one stop to the next. Alleviate their worries with a personalised shuttle that will run on your schedule and ensure that everyone arrives safely and on time. Whether it’s in a coach for yourself or for your loved ones, we’ll make sure the interiors are both sleek and comfortable. With reclining seats, air con, and extra add-ons such as WiFi, everyone will enjoy the ride to your ceremony, to your reception, and back to your hotel. We’ll also cover events leading up to the wedding, such as hen and stag parties, rehearsal dinners, and more. The nearest car park may not be within walking distance. Instead of having them find their own spaces and walk, help guests get around by sending a minibus to the parking area or right to a nearby hotel where mosts of your guests are staying. No one will be stuck walking in the mud or in the rain, and everyone will arrive ready to party. Let London Coach Hire Company ease your wedding planning experience by helping you to secure the perfect transport for all of your events. No matter how many guests will be attending, we’ll ensure that every event runs smoothly from beginning to end. Call us today at +44 (0)20 3617 1668 to learn more about how we can help with your upcoming wedding!